Music is considered to have a divine origin and one which brings its practitioner very close to God. It is said that God created music to give a proof of His presence. Therefore, the existence of music is as old as humanity itself. But later it came to be presumed that music is an inborn quality, given by God Himself, and therefore it can not be learned here on this earth. One may be trained in music and excel, provided there is genetic support. But, it is not a universal fact. One can learn everything with proper sincerity and devotion. Keeping this in view, the present series of hand books have been prepared as a reference material for those who have just got in a formal touch with music and if it knocks the gate of anyone’s emotional energy, to proceed further in this field. 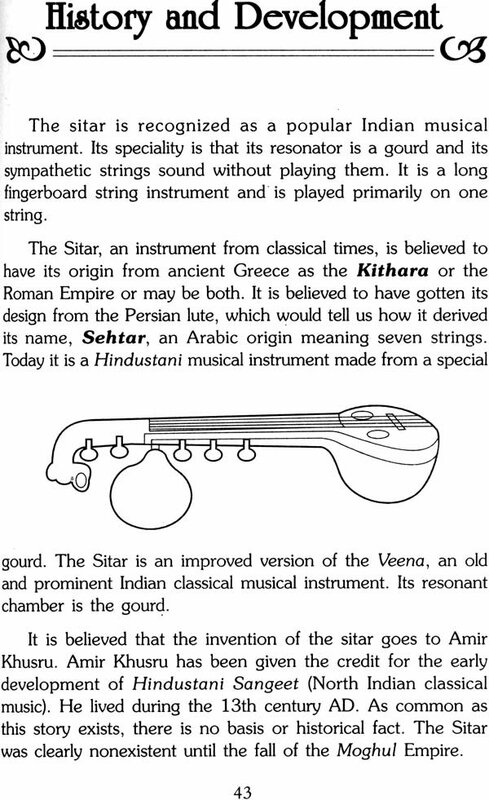 For this, we have selected one of the oldest instruments of our music tradition – the Sitar. It is an instrument which is capable of energizing anyone’s senses with its sweet sound. Moreover, our classical instrumental music has an edge over other forms of music of the world. Vocal music has a sort of limitation as it is bound in worlds, hence it leaves the audience with a limited scope of imagination, largely confined to the meaning of words and its ambience. But contrary to that, an instrument communicates with the audience in an affective form and energizes the senses according to the imagination of an individual listener. It does not confine the listener to any area and thus leaves with enormous possibilities of imagination. 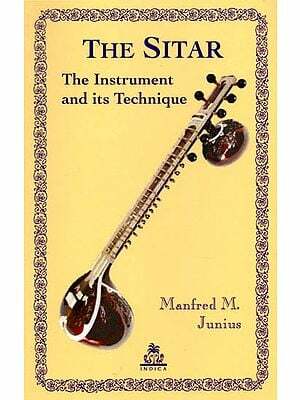 That is why a book in the form of a handbook has been brought out to facilitate a beginner in familiarizing himself with the so called difficulties of Sitar, so that if one feels the necessities for enjoying instrumental music, he may have a ready reference at the initial stage itself. I would like to place on record the blessings of my revered guru, Sarod maestro, Pt. Sunil Mukherjee, whose teaching and training has enabled me to understand the nuances of music such as its philosophical as well as emotional aspects. I am also indebted to my first guru, Pt. Mor Mukut Kedia, who made me capable of holding the Sitar and write this book. I am also indebted to my parents, who, in spite of all odds in life, did not discourage me but gave all their support to pursue music. The publisher of this book, Mr. Vikas Bajaj, and the publishing house – PANKAJ PUBLICATION, deserve special mention and thanks for carrying out this enormous job which is in fact a small step towards saving this old and dying tradition of our Indian culture. Any suggestion to enhance the quality of this book is heartedly solicited.